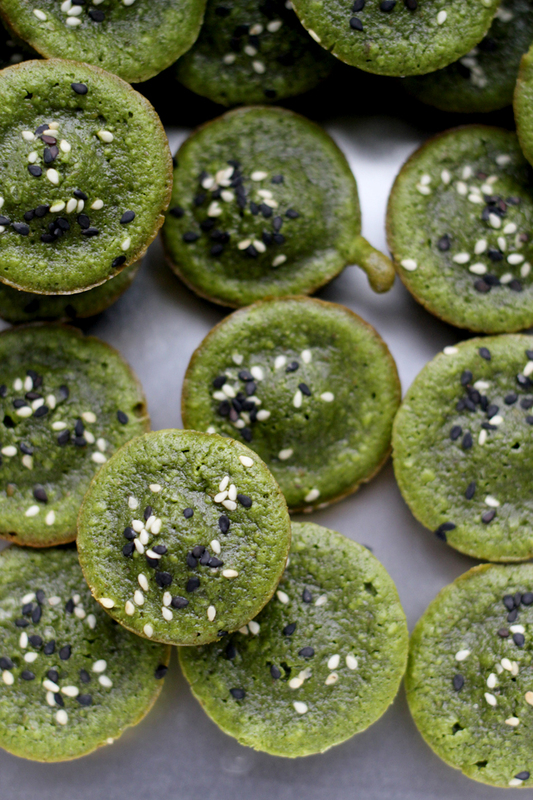 The vibrant green in these mini muffins come solely from matcha powder, filling these green tea financiers with sweet herbal flavor. Would could be more pedestrian than that? And by pedestrian, I obviously mean un-French-pastry-like since French pastry is all about rules and precision and certainly would not approve of dumping all of your ingredients into a bowl with a mechanical blade and pressing go. 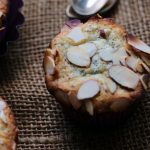 Left with little green subtly sweet bites (that for all intents and purposes are really a mini muffin/cupcake hybrid) that have hints of almond and sesame with some definite herbal green tea undertones. These may come from humble beginnings, but if we’re being honest, “financier” doesn’t even do them justice in the end. Take THAT, fancy French pastry names. 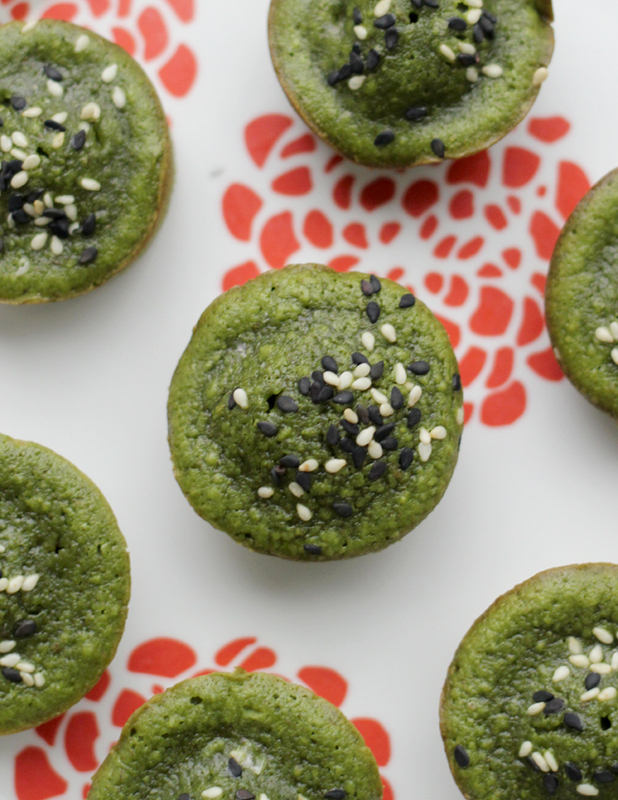 The vibrant green in these mini muffins come from a green tea infusion, filling these green tea financiers with sweet herbal flavor. Heat the oven to 375. Grease a mini muffin tin. For the sesame-salt mix, stir together the sesame seeds and sea salt in a small bowl. Sprinkle the greased muffin cups with ⅔ of the seed mixture, reserving the rest. For the financiers, in the bowl of a food processor, blend together the almonds, sugar, white sesame seeds, flour, green tea, baking powder, and salt, until the nuts are finely ground. Add in the egg whites and butter and pulse until smooth, scraping down the bowl as needed. Split the batter among the prepared muffin cups, then sprinkle the tops with the remaining sesame-salt mixture. Bake until the financiers are firm when pressed with a finger, about 12 minutes. 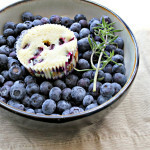 Let cool completely before removing from muffin cups. Silly boy to scare so easy! Friands are a favourite in this house, although I am not sure how Paul would go with the matcha flavouring. Financiers are one of my favorite treats! Whenever I have extra egg whites after making ice cream, I think financiers. I have made a few kinds but never matcha. I know I’d love it! I love the vibrant green colors, that’s drawing me to them instead of running. Silly boy. butter and matcha is magic! i love the sesame seeds touch. Looks good Joanne! My family sometimes don’t try things that I make too! More for you then he doesn’t know what he is missing ???? I’m so intrigued by these! I LOVE green tea and drink at least two cups everyday. But I’ve honestly never tried baking with matcha powder. These little financiers look perfect! Loving these! I like the green color, I think it makes them seem healthy 🙂 I wonder how green tea tastes! I think these are gorgeous! I love that beautiful green colour. I don’t think I’ve ever had something with green tea in it. But I’m totally ready to give it a try! These look great! “Won’t even try one…..” I know what that’s like – sorry if everything I make isn’t bacon and ranch and pasta. It reminds me of the Seinfeld pie episode. These are gorgeous! I love the sesame seed topping. Did I ever tell you about how when I worked at Starbucks I was once dared a dollar to eat an entire heaping spoonful of matcha powder? As expected, it wasn’t nearly as delightful or pleasant as these financiers 🙂 Despite the initial trauma, I do love matcha desserts and these couldn’t be more lovely! 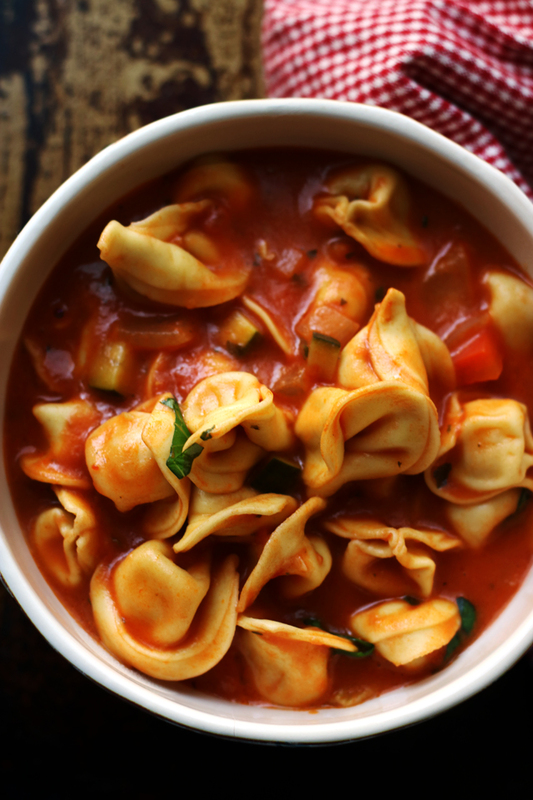 Woah these sound unexpectedly good! Really creative recipe here Joanne! Love how green they are even after baking! These are truly gorgeous! I love anything with matcha so I bet I would love them. 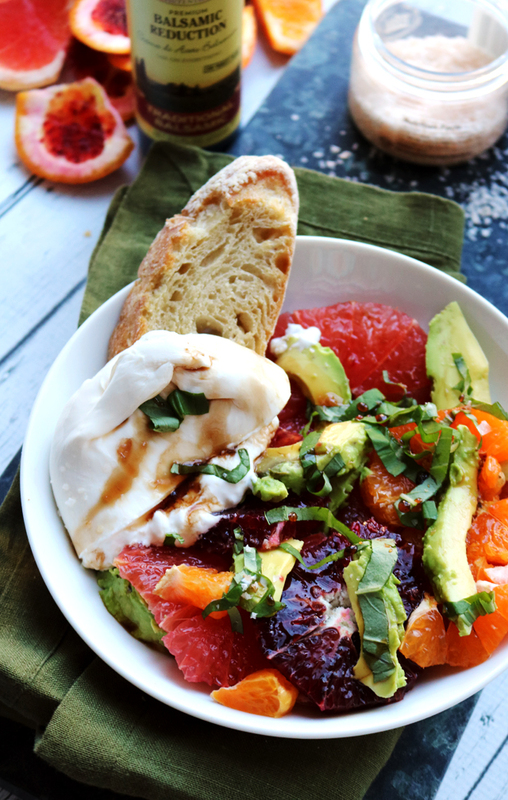 (Healthy) fun for St. Patricks Day! They look really green and beautiful! I love that green hue! I don’t think I’ve ever had a financier before, must make these over the weekend! You are hilarious. I want these. I’ve been wanting to try something with matcha for so long–and what’s better than something made in a food processor?!?! Nothing. I’m intimidated and impressed all at the same time. 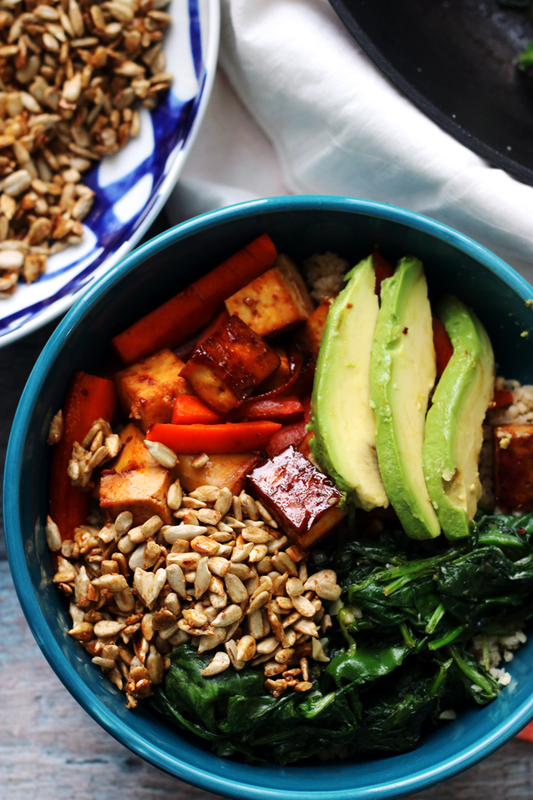 One bowl wonder. Sold. I have to say my eyes did get a little wider when I saw your newest creation. I love it!! Especially how they resemble kiwi fruits with the sesame seed on top. I have wondered what a financier is… must look that one up. CAEK. This is exactly what I want on a Friday afternoon! (Ignore the fact that it is currently 10 am…) The sesame seeds are such a nice touch. The color! The name! I’m intrigued. Confused, a bit, and definitely intrigued. I love this! One of my favorite bakeries sells financiers, and I’ve always wondered about them, this color is great! Run away!? Never. I love the color…so pretty. 🙂 I’ve never tried these flavors before but I’d happily try because this looks delicious! 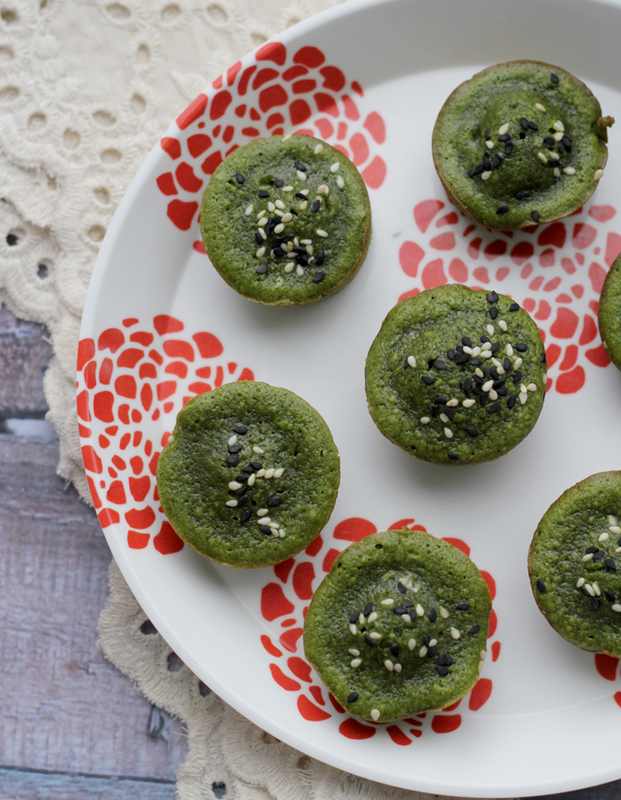 My obsession with matcha treats has been amplified by my recent trip to Japan so I would be all over these fancy-sounding mini muffins! The only thing the French got wrong is Mirepoix, because, you know…celery. But ain’t nothing wrong with these babies! I’m sure they’re delicious, but they’re almost too pretty to eat!! 😛 Great shots! 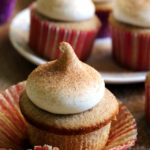 How funny, I recently bookmarked this recipe from Ready for Dessert and now you have me really itching to try it! I may have to put a gluten-free spin on it. mmm…. Sweet herbal flavor? I’m sold. These are just adorable! Shame financiers are out of my life now I don’t eat eggs but we used to love them here, along with French madeleines. I’m a big matcha fan too. I love the colour, they sound quite simple to make too. Great flavour with green tea. 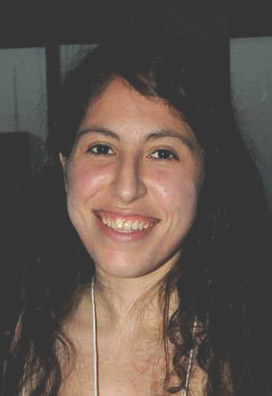 I think are georgeous Joanne!! Love these Joanne – I’ve never made financiers but I read about them a few years ago. Great idea using green tea in these! I just can’t seem to get on board that bandwagon! I know green tea is all the rage and so is anything made with it in the kitchen. The color puts me off. I know, chicken of me, but there it is. Well, if anyone runs away I will just eat their share. Green food has never scared me, in fact I thought of who cute these were! Must be a blogger thing :D. Perfect for a Friday – weekend! These look like perfect little bite-sized bits. And I think green tea is the best reason something should be green! 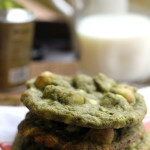 I love using matcha in baking and these look amazing! Ooooo I think these look fabulous! A very pretty little tea cake…I would love these! Have a great week, Joanne! These green tea financiers remind me of sweet kiwis! 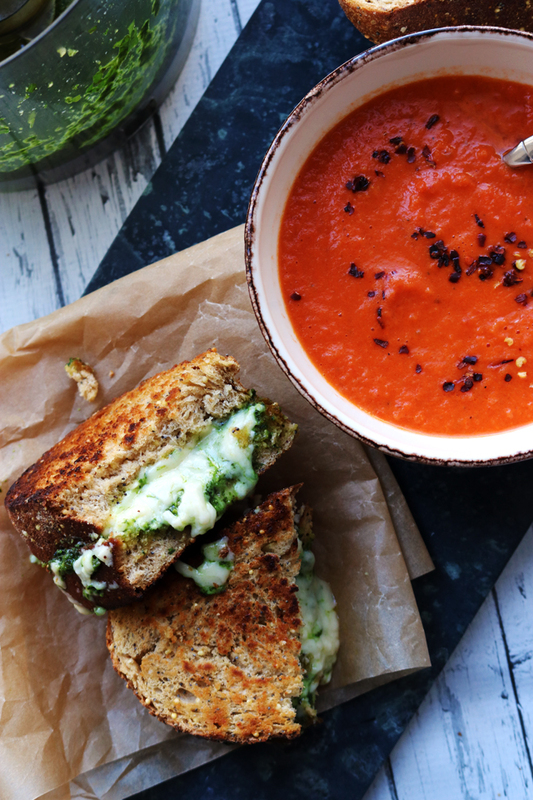 That looks beautiful, I would love to do a veganized version – and perfect for a tea party! 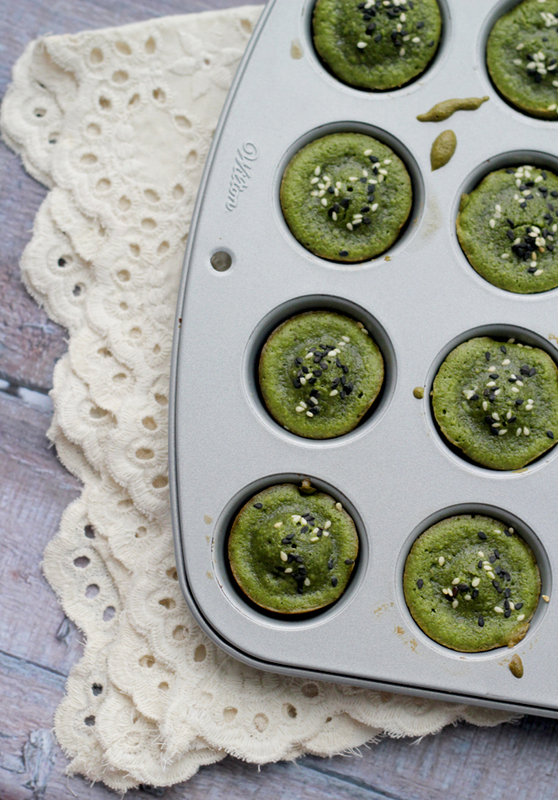 I love baking and cooking with green tea so I’m into these babies! I’m a green girl so these look lovely Joanne! I can’t wait to try them. What a sweet treat to share with a friend (or just with yourself and a good book!) Thanks for sharing! Woah, those are so green! I love it! Your financiers reminded me that I have a bit of matcha somewhere in my cabinets… I want to find it and start turning stuff green! I bet those little green treats are so tasty. I’ll eat the boy’s share! 🙂 I love how easy these are! I’d be whipping them up left and right! I have yet to try baking with matcha but I love the results. So pretty! very original! i love the color! I think they look cute and sound delicious. I seriously CANNOT handle how gorgeous these are!! Wow! Just made these and they taste lovely, although they’re not even close to the perky green that yours are. 🙁 Think there are different types of matcha?? Or was the 2.5 tsp a typo and I should have used more? Thanks! I’m not sure if there’s a difference between that and other matcha, but I can’t imagine what else it would be! Hi – what is the texture of these financiers? Are they moist? I’m afraid they might come out dry by adding an astringent ingredient such as matcha powder? They are not dry at all! Very dense and moist. made them. wonderful. so imaginative! french financiers are so boring. (i ought to know…i’m french!). and they are easy to prepare. thanks!